At least eight volcanic earthquakes were recorded on Mount Bulusan in Sorsogon province in a 24-hour monitoring period from Wednesday to Thursday, the Philippine Institute of Volcanology and Seismology (Phivolcs) said on Thursday. Phivolcs, in a bulletin issued at 8 a.m., said Alert Level 1 remained hoisted over Bulusan to warn people of an abnormal activity. Ed Laguerta, Phivolcs' resident volcanologist here, said the earthquakes were possibly due to hydrothermal pressure. Laguerta said seismic instruments that recorded the quakes on Bulusan posted "no intensity," meaning these were triggered by steam-driven pressure that led to fracturing of cap rocks beneath the volcano's vent. He allayed fears that the quakes could pose danger, saying "the [earthquakes'] magnitude was minuscule that it could not be [plotted] and was insignificant to cause an alarm." "What we are closely monitoring is the presence of low frequency harmonic tremors (continued rhythmic earthquakes) because these are signs that magma is building up," Laguerta said. Phivolcs asked residents along the volcano's slope, including visitors, to avoid venturing into the 4-kilometer permanent danger zone (PDZ) due to the possibility of sudden steam-driven (phreatic) eruptions. 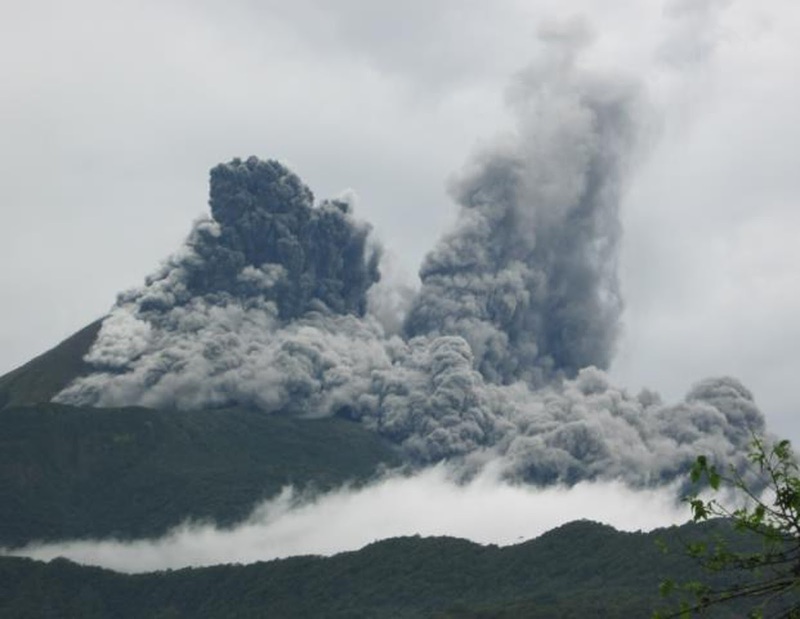 A Phivolcs bulletin said volcanologists observed a "weak emission" of white steam plumes that drifted west-northwest. The agency said bulging at the volcano's edifice was observed, indicating that the volcano remains restive. Residents along rivers and streams near the volcano's slopes were also alerted against rock and lahar flows in times of heavy rain. Pilots were also warned to avoid flying close to the volcano's summit as ash from any sudden phreatic eruption "can be hazardous to aircraft." In Albay, Phivolcs said Mount Mayon remained calm in the past 24 hours, although the volcano continued to spew a slightly bluish plume. Volcanologists said no crater glow was observed on Mayon. However, Alert Level 1 is still hoisted over Mayon, indicating its abnormal activity. Phivolcs said people should avoid entering the 6-km permanent danger zone around Mayon due to sudden ash puffs and steam-driven eruptions.